Embrace A Stream (EAS) is a matching grant program administered by TU that awards funds to TU chapters and councils for coldwater fisheries conservation. Since its inception in 1975, EAS has funded more than 1,080 individual projects with more than $4.75 million in direct cash grants. Local TU chapters and councils contributed an additional $14 million in cash and in-kind services to EAS funded projects, for a total investment of nearly $19 million. For current updates on EAS projects, navigate to our Facebook page and follow #embraceastream on Instagram and Facebook. 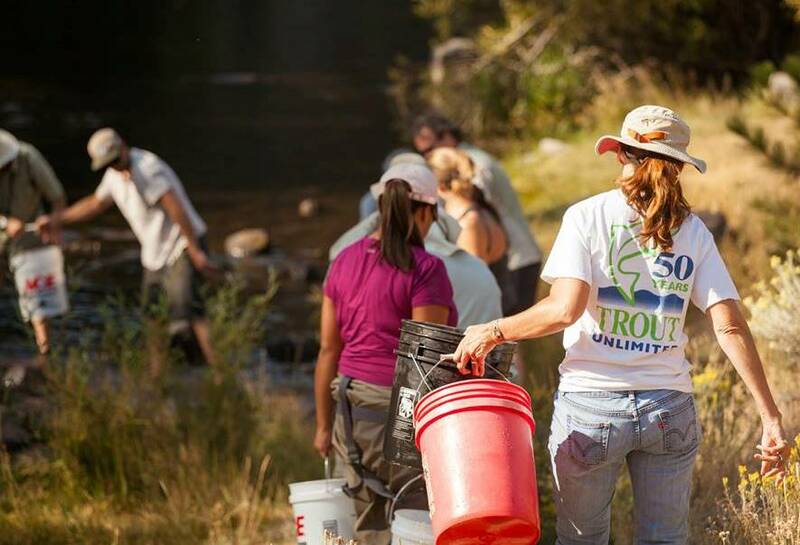 In 2018, a total of $123,000 was awarded to 29 chapters and councils, helping restore stream habitat, improving fish passage, and protecting water quality in 19 different states from coast to coast. March 19 - Embrace A Stream grant training - View webinar recording here. April 15 - Deadline to notify intent to apply to the EAS Committee member in your area (see rep roster below). Online application becomes available. Before contacting your regional EAS Committee member, please click here to review the 2019 EAS proposal guidelines. If you have received an EAS grant and need to file a grant report Click here. Click here to view the full list of 2018 EAS grant winners. Click here to view the full list of 2017 EAS grant winners. Click here to view the full list of 2016 EAS grant winners. Click here to view the full list of 2015 EAS grant winners. For further information, please contact Lisa Beranek, Leadership Development Manager of Volunteer Operations, at lberanek@tu.org.